Still giving up too many offensive rebounds but in many cases, it didn't lead to 2nd chance points. I thought we played well for the most part and the game was never in any doubt. Nice win! I'm guessing most likely they accepted this Gators team would be lucky to make the ncaa college basketball tournament after seeing that game where the Gators could not finish, and this Volunteers basketball a terrific team in the league of the 2011-2012 UK Wildcats team. Should have won by 20+ if not for some lazy, sloppy passes and the offensive rebounds we let them have. Still, it was nice to see us step up the intensity they came out with at the beginning of the second half. Seemed like we came out a little flat and they looked like they were going to take our lunch money. But we woke-up and gave them a taste of their own medicine, except better. That was fun to watch. Any word on how long Pons might be out? Congrats guys. I’m a Louisville fan but I’ve been paying closer attention to you guys all year, especially since we played. You guys are ahead of us (looks like we just lost to FSU) but I’m happy it seems like we both got coaches who are such great fits to our program. Have been a lot of connections between Louisville and Tennessee over the years. Will be rooting for you guys against Kentucky next week. Watching Duke/ Va and Duke is really impressive. Hope somebody gets hot from 3 land and upsets them in Tourney. How’s the mood there? I bet it’s super exciting!!! Go Vols. Late reply but it was. Very fun atmosphere today. Well Yeah I could do that; go to cbs sportsline for updates, but I thought since this is an Official Game Thread, for those who can't watch the game for various reasons; a score post would be mighty pleasing; and keep us up to speed on all those gems yall are tossing out. As they say in most games; Scoreboard. You know, since you guys were watching the game; WTH would it have hurt to post a score? If I google it, then I'm 3 pages behind on the banter. But don't worry; I won't be putting you out again. Good God. I’ve come to the conclusion that when Bone wants to go to the basket, there aren’t many that are gonna stop him. I hope his ankle doesn’t tighten up after this game. A sweep of the gators is always nice. 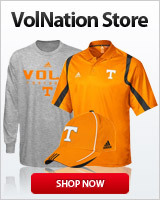 Bunch of turds calling themselves Vol Fans up in here. Yeah, Va is getting ripped off by the refs like we have been so many times this year. Any day that we beat a gator is a good day! Thank you. I think Chris Mack mirrors the culture of the school and the city. Underdog/ chip on his shoulder. I feel the same about Barnes and Tennessee which is why I think we both are very fortunate. They shot 3s out of they're mind. Golden State loses against that tonight. Didn't get to post about the game today. But so glad for the win against the stinky pesky gators. TN BB team is in a very unheard of position of 22-1. This just blows me away. Gonna be a nail biter w/KY.